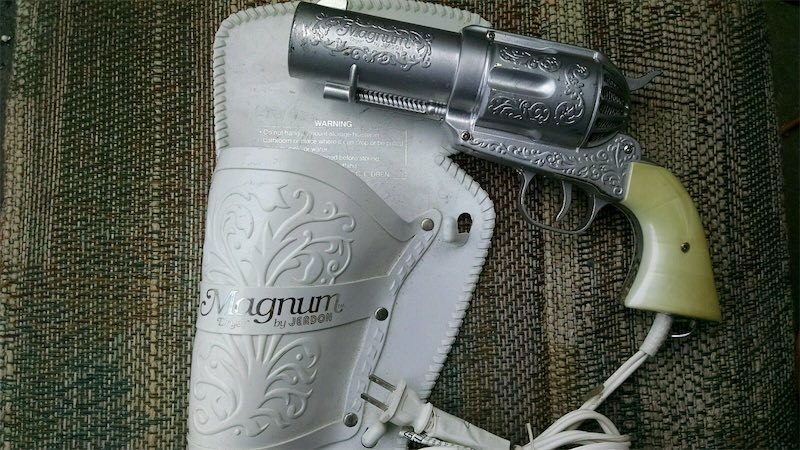 In the 1980s, Jerdon sold this, er, clever 357 Magnum Hair Dryer complete with holster. They can be had on eBay for around $100 to $300. YouTuber Rachell Tan gleefully demonstrates in the video below.